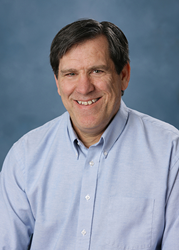 Patrick Ryan, Ph.D., has joined Stanley Consultants as an Environmental Consultant. Stanley Consultants is a global consulting engineering firm that provides program management, planning, engineering, environmental, and construction services worldwide. Based in Iowa City, the company’s hub for environmental services, Ryan will lead projects that involve air dispersion modeling, transportation conformity analyses, major source air construction permitting, and Title V operating permits. He will assist in marketing air quality services on a local and national level, as well as expand the firm’s air dispersion modeling capabilities. Ryan comes well qualified to the position with over 30 years of air quality permitting and compliance experience. While operating his own environmental consulting business he performed an emissions study for the U.S. Department of Justice, wrote position papers and interfaced with government officials in the updating of the New Mexico air dispersion modeling guidance document, and prepared technical comments on adverse health effect predictions used by the Arizona Department of Environmental Quality. As an air quality analyst working for consulting companies such as Sebesta and Sonoma Technology, he managed numerous air permitting projects, air dispersion modeling analyses, and Title V permitting work for various industrial and utility clients. Ryan has M.S. and Ph.D. degrees in chemical engineering from the University of California at Los Angeles. He has authored multiple formal air quality reports for submittal to regulatory agencies. In the past, his works have been published in journals and he has presented at various conferences. He is a member of the Air & Waste Management Association. Stanley Consultants has been providing air quality consulting services for over 40 years to utility, industrial, governmental and higher education clients throughout the United States. Services include Prevention of Significant Deterioration (PSD) permitting, Title V permitting and compliance, and air dispersion modeling. The firm’s air quality staff includes professionals with over 60 years of combined experience. About Stanley Consultants: Founded in 1913, Stanley Consultants is a global consulting engineering firm that provides program management, planning, engineering, environmental and construction services worldwide. Recognized for its commitment to client service and a passion to make a difference, Stanley Consultants brings global knowledge, experience and capabilities to serve clients in the energy, water, transportation and Federal markets. Since 1913, Stanley Consultants has successfully completed more than 25,000 engagements in all 50 states, U.S. territories, and in 110 countries. For more information on Stanley Consultants, please visit http://www.stanleyconsultants.com.